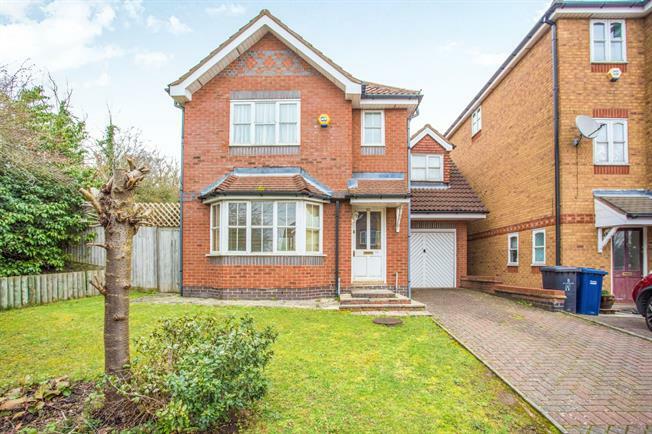 4 Bedroom Detached House For Sale in London for Asking Price £760,000. A well presented four bedroom detached property. This property is ideal for a growing family with ample amount of space, front and rear gardens and own attached garage. The property consists of open plan living on the ground floor with lounge, living and dining area and a separate kitchen and W/C. On the first floor there are four bedrooms, with master bedroom on-suite and separate family bathroom. Close to transport links and local amenities, this property must be viewed to really appreciate size and space.